For literary history, few cities come close to New York’s rich and varied collection of novelists, playwrights, and poets. Join us on Thursday, May 14th at 6:00 pm for a walking tour of the West Village, inspired by the pioneering writers profiled in Kate Bolick’s new book, Spinster (which was a recent YPG Little Big Mouth mailing). From Washington Square Park to the Cherry Lane Theatre, we’ll visit the haunts of luminaries like Edith Wharton, Edna St. Vincent Millay, Henry James, Dylan Thomas and more, hosted by a former YPG member tour guide. 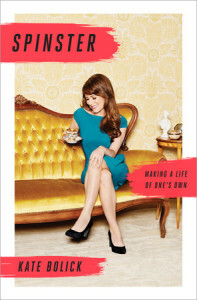 Crown has agreed to donate copies of Spinster to the first 20 people who sign up, so RSVP HERE. Hope to see you there!